Oh Immaculate Virgin, the strength of divine love freed your pure spirit from any earthly ties, obtain for us the grace that at the end of our lives we will cling only to that which unites us to God. 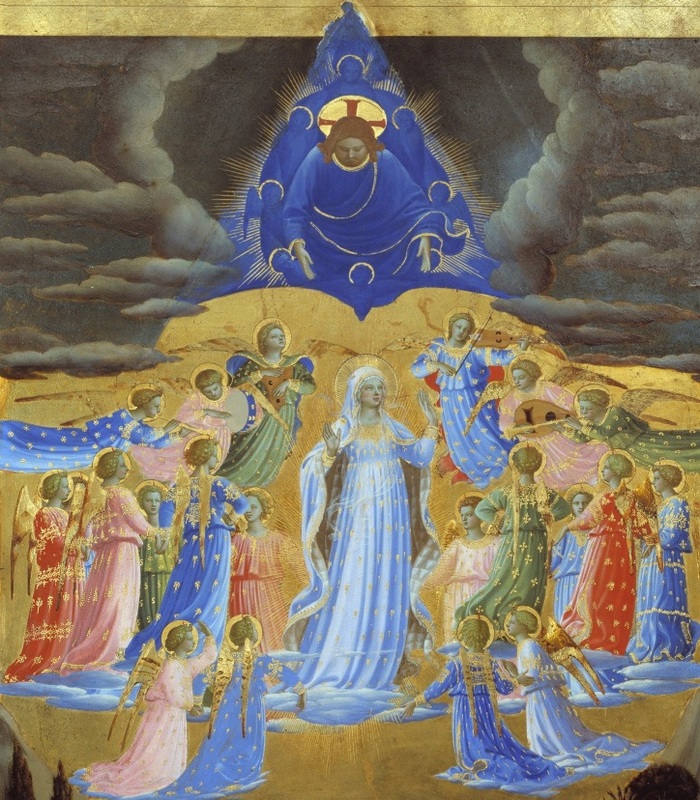 Immaculate Virgin, Mother of Jesus and our Mother, we believe in your triumphant Assumption into heaven where the angels and saints acclaim you as Queen. We join them in praising you and bless the Lord who raised you above all creatures. With them we offer you our devotion and love. We are confident that you watch over our daily efforts and needs, and we take comfort from the faith in the coming resurrection. We look to you, our life, our sweetness, and our hope. After this earthly life, show us Jesus, the blest fruit of your womb, O kind, O loving, O sweet virgin Mary.